It can be a bit difficult to feel patriotic these days, given the state of things. Most mornings begin cautiously, wondering what fresh hell awaits. Most nights end somberly, realizing that the day, somehow, managed to be worse than the one before. So when planning our Independence Day party, instead of the traditional Americana, we focused on the last thing that made us feel truly proud to be citizens of these United States. Instead of hot dogs and hamburgers and apple pie, our menu featured kālua pork and huli-huli chicken and malasadas. Instead of Lady Liberty looking over us, we opted for a lady tiki. Instead of Uncle Sam hats, we donned red, white, and blue leis. 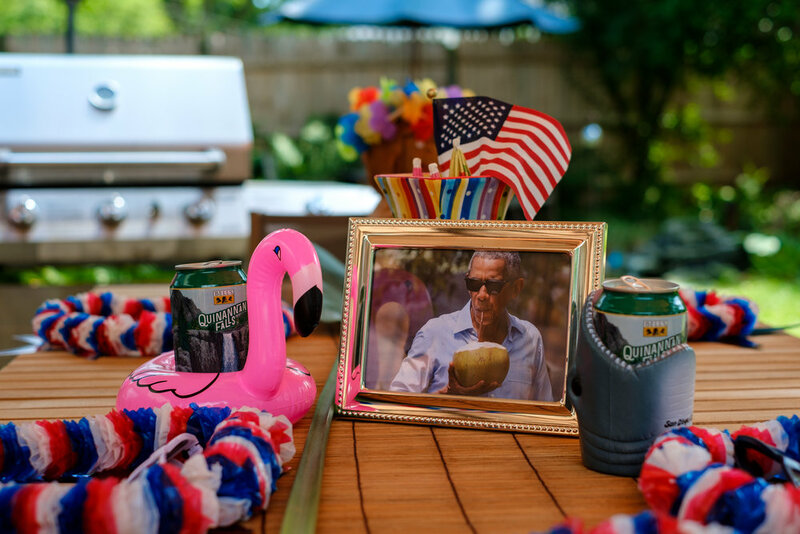 And instead of a party, we threw a Hawaiian luau to celebrate the birth of this once-great nation and the birthplace of our 44th President. The entire day was dedicated to a beautiful culture that, while still American, is distinctly foreign from our own. And while the party was fleeting, it made me feel great again.